History was the big winner last night at the 85th Annual Academy Awards. Three of the four acting awards went to actors who performed in movies set in different historical periods, and Argo, which chronicles a lesser known aspect of the 1980 Iranian Hostage crisis, took home Motion Picture of the Year. Steven Spielberg’s Lincoln won two Academy Awards, including Best Performance by an Actor in a Leading Role. In honor of Daniel Day-Lewis’s riveting representation of the historic figure, take a look at a few of the projects we’re currently funding that relate to the country’s 16th President. The Papers of Abraham Lincoln is devoted to identifying and publishing all documents written by Lincoln. A high-resolution digital copy will be made of each document. 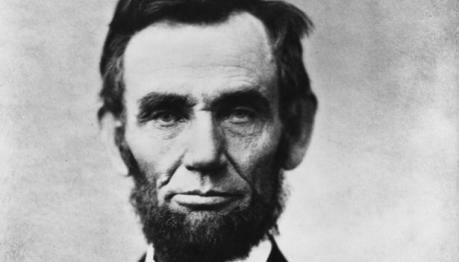 The Lincoln Papers aims to promote new scholarship on Lincoln, antebellum America, and the Civil War Era and will be split into three series: Legal Papers, Illinois Papers, and Presidential Papers. The Lincoln Papers is a project of the Illinois Historic Preservation Agency and is a part of NEH’s “We the People” initiative. Lincoln: The Constitution and the Civil War is a traveling exhibition that examines how Lincoln used the Constitution to confront three connected crises of the Civil War: the secession of Southern states, slavery, and wartime civil liberties. The exhibit features reproductions of original documents, including the Emancipation Proclamation and Lincoln’s First Inaugural Address. The exhibition is currently in Troy, New York until March 1 and moves to Greenvale, New York on March 13. Abraham Lincoln on the American Union: “A Word Fitly Spoken” is a curriculum unit available on EDSITEment. The curriculum offers four lessons for teachers that delve into the political thought of Lincoln on the subject of the American Union. The lessons will study Lincoln’s most famous speeches: the Gettysburg Address, and the First and Second Inaugural Addresses. Teachers can access the curriculum online. EDSITEment partners with NEH, the Verizon Foundation, and Thinkfinity Consortium to offer educational materials for teachers, students, and parents. In addition, BackStory with the American History Guys featured the 85th Academy Awards on its Feb. 22 radio show, “Reel to Reel: History at the Movies.” The History Guys discussed the year’s nine Best Picture nominees, specifically focusing on the fact that six of them are films about the past. They also provide a look back at how history has made an impact on movie culture, and why it continues to be an interesting topic for American filmmakers. You can listen to the radio show here; also, check out the History Guys’ post-Oscars Tumblr feed. Lastly, the NEH is proud to announce Martin Scorsese as the 42nd Jefferson Lecturer in the Humanities, an award that acknowledges distinguished intellectual achievement in the humanities. Scorsese won Best Achievement in Directing at the 79th Annual Academy Awards for The Departed. This entry was posted in Uncategorized and tagged 42nd Jefferson Lecturer in the Humanities, 85th Academy Awards, Abraham Lincoln, Academy Awards, •Abraham Lincoln on the American Union: “A Word Fitly Spoken”, BackStory with the American History Guys, EDSITEment, education, history, humanities, Lincoln, Lincoln: The Constitution and the Civil War, National Endowment for the Humanities, NEH, NEH Office of Congressional Affairs, oscars, The Papers of Abraham Lincoln by nehblog1. Bookmark the permalink.